While not an annual event, Amphetamine Reptile Records has brought a pretty great lineup to Grumpy’s downtown parking lot every couple of years. From the 25th Anniversary to 2013’s Bash which brought Die Kreuzen, Mudhoney and Negative approach to town. The poster for Bash 15 was just posted this morning with Cowz in the headline spot. 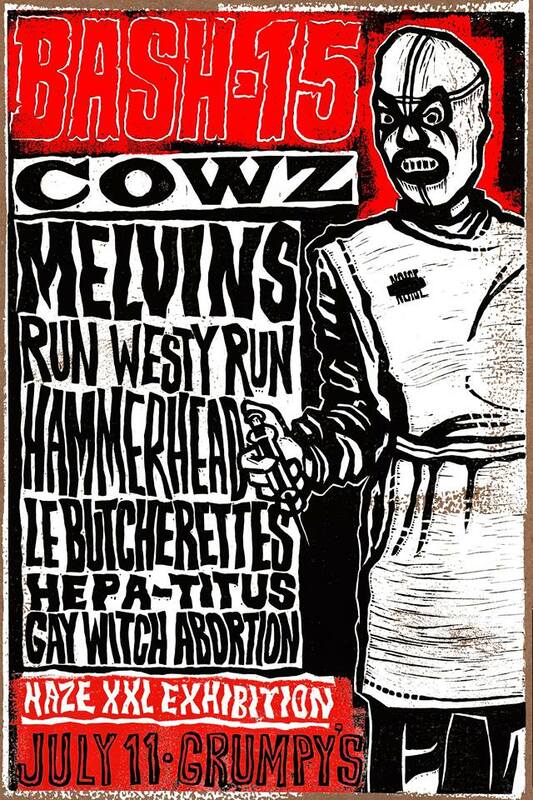 While it’s not quite known how much of the Cows lineup is involved (I’m guessing that’s what the Z means), part of the lineup did get together for a few songs last year with Kevin Rutmanis’ Hepa/Titus at Grumpy’s. The ever dependable Melvins, local legends Run Westy Run, Hammerhead and a few more make it yet another great reason to stand in the Grumpy’s parking lot on a July day. Tickets are now available for sale here and are $48 for the day. Jeff Mangum To Perform At The Pantages Theater!